Are you consuming a ‘one a day’ supplement? For many people, the taking of a multivitamin/multimineral (MM) supplement is to "cover all the bases," trying to make sure no significant vitamin or mineral deficiencies occur among the vitamins and minerals commonly considered to be the most important. This is a perfectly reasonable goal, especially for the individual without the money, time, or motivation to take a wide array of more highly-dosed supplements and nutrients throughout the day. By the same token, achieving such a "lack of deficiency" should not lead you to think that a given vitamin, mineral, or other nutrient is being optimally supplemented. Are you expecting too much from your doctor? Sadly, many healthcare providers consider MM supplements, as well as supplementation in general, to be a complete waste of money, so don t count on receiving clear-cut guidelines or support from your doctor or even from friends you may have in the healthcare industry. As with so many other aspects of trying to keep healthy, you are pretty much on your own, and you need to take your own best scientific look at some of the pros and cons of a given MM supplement and make your own decision as to what best serves your health. Are all multivitamin/multimineral supplements the same? While the similarities might be substantial, virtually all MM preparations are unique in their own right, having some ingredients others do not have, and having significant dosing differences between identical ingredients. Furthermore, there are significant variations among the "same" ingredients, such as what anion is attached to the cation (like magnesium oxide versus magnesium glycinate). But, that's a discussion for another day. The "big three" to avoid are calcium, iron, and copper. All three of these elements strongly contribute to increased oxidative stress in the body, unless you are clearly deficient in them. That said, no adult would ever be expected to be legitimately deficient in calcium in their non-bony tissues. A true copper deficiency is a virtual myth as well. Of the three, only iron would ever be expected to be deficient in an adult. When such a condition has been diagnosed, iron supplementation is appropriate, but only to the point of restoring the deficiency, not beyond. For iron, this usually means the resolution of an iron deficiency anemia while addressing its source, such as excessive menstruation in young women, or gastrointestinal blood loss, as from cancer or ulcer disease, as more commonly seen in older adults. Allow me to make myself perfectly clear. You really do not want any MM supplement that contains any of these three elements. Of note, very many of these supplements have large amounts of calcium – which should be a strong deterrent against even taking such an MM supplement at all. A regular large dose of calcium is going to negate much, if not most, of the benefits of an MM supplement in the long run. One rare MM supplement, called "Two-Per-Day Capsules," has only six mg of calcium per capsule, and it contains no copper or iron. It is made by Life Extension Foundation. I have no formal or financial connection with this organization, but I do use a lot of their products personally. What should I be looking for in a good "MM" supplements? A good MM supplement should contain vitamins A, C, D3, E, along with B vitamins, including thiamine, riboflavin, niacin, pyridoxine, folate, and B12. Of these, it is especially important to be aware of the total vitamin D3 you are taking daily. While substantial variation in individual needs exist, most adults will not need to take more than 5,000 units of D3 daily to keep their blood level tests in the 50 to 80 ng/ml range – which is what I recommend. Each capsule of the MM supplement mentioned above has 1,000 units of D3. If you are already a consumer of a wide variety of supplements, you will also find D3 to be a common component of many of them. When such a variety is consumed, and then you take the "recommended" 5,000 units of D3 daily as a separate supplement, you could be well above the daily amount of D3 that you should be ingesting. Have you ever tested your vitamin D level in your blood? This is all the more reason for making sure your blood levels end up in the recommended range. Too little vitamin D3 can literally be deadly, as can too much vitamin D3 over an extended period of time. Blood testing need not be frequent once you've been on a good dose for a year or more, as D3 levels do not fluctuate widely from one month to the next. However, there is no safe way to completely avoid testing at least a couple times the first year of supplementation to see that you are where you want to be. After that, many individuals can test once a year to see that the level is not unduly rising or declining. Is there anything else I should know about my MM supplement? If your MM supplement does not contain calcium, iron, or copper, you are "ahead of the game" already. However, you should always look for amino acid chelate forms of the minerals you ingest, such as magnesium glycinate. This makes that component doubly beneficial, and gives you both a beneficial cation and anion. Some MM preparations are so devoid of quality minerals that it is probably better to take just a good multivitamin and separately address the minerals, or at least take a separate multimineral supplement that is predominantly composed of amino acid chelates. Bolstering the super important components. Even when you are avoiding severe deficiencies with a good MM supplement, don't delude yourself into thinking that your bases are well-covered. 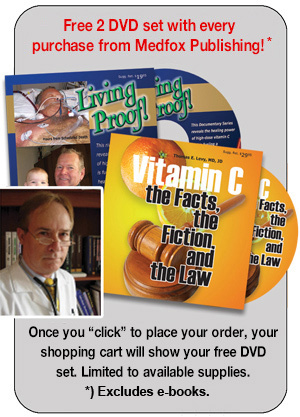 Vitamin C needs to be dosed for most people at multi-gram amounts daily. Magnesium needs to be taken at multi-hundred milligram amounts. Vitamin D3 has to be taken properly to achieve the correct blood levels. Vitamin K needs to be taken in adequate amounts, and it should be noted that some MM supplements contain no vitamin K.
Other important components of a MM supplement need to be increased in amount depending upon one's underlying medical condition, such as increased thiamine and pyridoxine in neuropathies. A final word of "good" health advice. Overall, a good MM supplement can be expected to bolster good health. However, never take a supplement that contains calcium, iron, or copper, or you might completely negate the positive benefits of the supplement and then some. Also, remember that the important components typically minimally-dosed in an MM supplement, as mentioned above, really need to be addressed separately.